Having a car is great! You can go anywhere you want to at any time in the comfort of your four wheels. Stereo blaring, the wind in your hair, your rooftop down and you're living the life. However, that paint job won't remain gleaming forever if you don't wash and wax your car regularly or that engine may not respond at the turn of your key in the morning because just as we eat, exercise, maintain physical hygiene, go for medical check-ups and rest our bodies as human beings to stay healthy, so do we also need to care for our cars to ensure they remain on the roads and out of the mechanic workshop. Anyone who's ever had to pay a lot of money to fix their car for something that could have been prevented or managed properly often regrets it so, what are the regular maintenance tips to keeping your car in top shape and preventing minor issues before they become bigger? Following what the manual says is one of the best ways to extend the life of your vehicle and may save you a lot on vehicle repairs. After all, no one knows your car better than the manufacturer. You drive a Mercedes and your friend drives a Toyota. You may have similar symptoms of a problem, however, they may not necessarily have the same solutions. Also, a garage expert may tell you one thing, however, insist on what the manufacturer says in the owner's manual, especially regarding servicing the vehicle, oil change, how to know your fluids are the right colour and levels, and the proper grade of fuel to use. 2. Listen to your car. You may know little about cars, but anything out of the ordinary would catch your eye. A scratch by your door. A bent, swollen or flat tire. Anything. This would enable you to spot any faults on time before it escalates into a major repair. Driving with a bad tire can damage your car's rims and suspension. Check the threads to ensure they aren't threadbare. Also, if left undetected for long, a worn out wiper would cause a lot of scratches on your windshield, thereby causing damage to your windscreen and you may have to spend a lot to fix your screen. It's very important to listen to what your car is saying. When you sneeze repeatedly, it may be a sign you're getting sick. So just like those signs, a noise or shake from your car may be a sign that something is wrong somewhere. The most important parts of your car are most in the bonnet. Fluids, belts, hoses, battery, keep an eye on them regularly. Your car depends on fluids to run effectively and most of these fluids have dipsticks so it's quite easy to check the levels periodically. Check your oil levels so as to help protect and extend the life of your engine. Check your belts for wear and fraying on the belt edges. You may know little about cars like I said earlier, and that is why your owner's manual should always be available for you to consult. Even though you brush your teeth daily, you still visit the dentist for a checkup. Likewise your car. 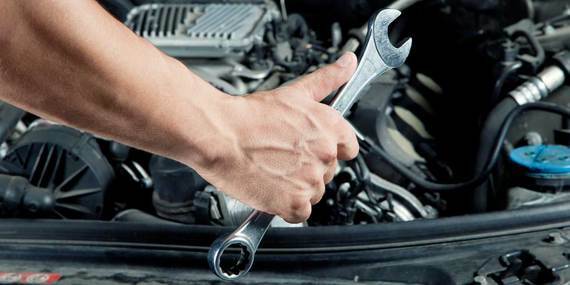 Have a pro service your car as instructed by the car manual. There are just some things that involves the services of a professional to spot out. However, get a well recommended mechanic on standby. Don't wait till you need a mechanic before you find one. Even if your car is brand new. When there is an emergency, you may not have the luxury of investigating who would be working on your vehicle. Ultimately, having a pro check on your car would pay off in the long run because minor problems would have been discovered before it escalates to a major one. All it takes is a good relationship with a mechanic that you trust. In addition, even if you decide to go the DIY route, it's also important to read reviews from reputable platforms such as driving geeks, to ensure that the equipment or information you get regarding your car are concrete. Keep your car clean by washing it regularly. Getting rid of food wrappings, dust or sand on the floor, dirt in the vents-all this would extend the lifespan of the car. If you live somewhere near the ocean, the salt in the air can corrode your body paint, hence the need to wash and wax your car regularly. Yours may be too much sand or dust in the air, you also need a proper regular washing. Do you park your car under the tree or in old garage? Its likely bird droppings would regularly fall on your car or rodents and insects find a safe haven in your car, especially if you don't use the car daily. You may be susceptible to a bug infestation, and if your car does get infested, there is no need for worry. However, be sure to act quickly. Such issues might seem minor, but they can eventually lead to major health challenges. You should consider investing in good pest control for Houston and environs to prevent or eliminate any bugs from your car space. Follow all the above tips and most importantly, practice good driving habits. Don't accelerate too quickly. Don't brake too fast. Obey traffic laws and speed limits. Don't barge over potholes. All these would culminate to extending the life of your car and prevent serious repairs.